The Oxnard Noontimers Lions Club is celebrating its 61st year. 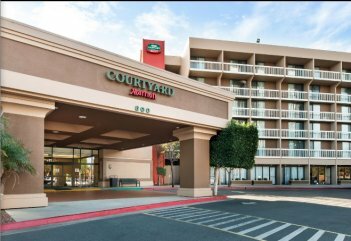 We meet at Noon every Friday at the Oxnard Courtyard by Marriott, 600 E. Esplanade Dr., Oxnard, CA 93036 -- by the twin towers. Visit us on Facebook where we have more pictures of our events. Every year the Oxnard Noontimers help out at the Oxnard Health Fair at Our Lady of Guadalupe Church, 500 Juanita (corner of Colonia). 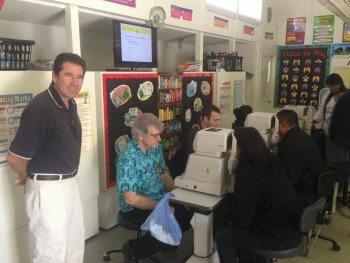 This year (October 2017) we performed nearly 500 vision screenings and fitted approximately 400 pairs of glasses to those in need. We run a teen driver's clinic to help teach teenagers how to react in emergency situations. There is a huge difference between learning how to drive a car when there are no emergencies and what to do when in difficulty. After too many parents lost children who didn't know how to save themselves in an emergency, we have started this program. During the clinic we also teach the teens how to check oil, washer fluid, brake fluid and check all security settings. We post our bulletin, The Lions Din, every Friday for the meeting and keep issues online for reference. We have bulletins going back to 2003 right here. The Oxnard Noontimers are a fraternal organization, however we have a companion organization that is a US registered 501 (c) (3) non-profit corporation. All public monies go into our foundation, rather than our club, so donations to the Oxnard Noontmers Lions Foundation are fully tax-deductable as allowed by law. Our IRS Letter is available here and the State of California Tax Exempt letter is here. The Oxnard Noontimers are a member of Lions District 4-A3, which enompasses all of Ventura, Santa Barbara and San Luis Obispo counties with a total of 35 clubs. We also maintain a list of Lions resources here on our website.